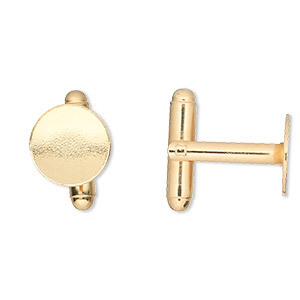 Cuff link, gold-finished brass, 12x8mm with 12mm round pad. Sold per pkg of 2 pairs. Item Number: H20-A1690FN Have a question about this item? 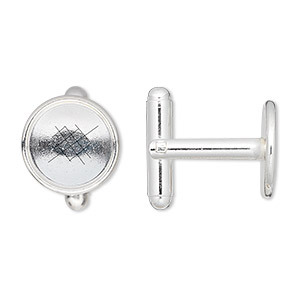 Personalize cuff links for Father's Day, Valentine's Day, wedding events, graduations and more. The components have a 12mm round pad for use with polymer clay, adhesives or resins to attach customized materials. Embellish with gemstones, scrapbook or other recycled papers, fabric and more. 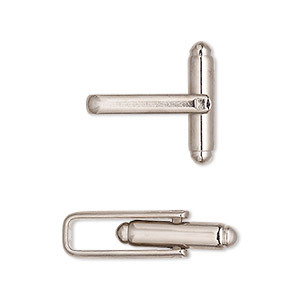 Cuff link, imitation rhodium-plated brass, 12x8mm overall with 12mm round pad. Sold per pkg of 2 pairs. 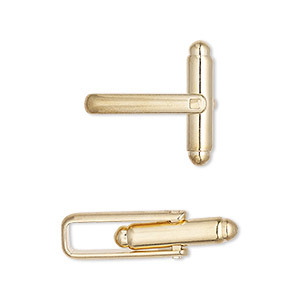 Cuff link, gold-finished brass, 19x17mm with 5x3mm oval pad. Sold per pkg of 3 pairs. 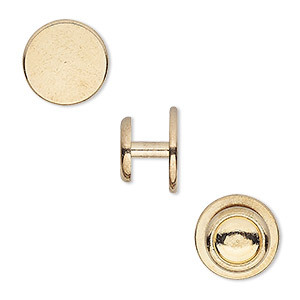 Cuff link, gold-finished brass, 12mm flat round pad. Sold per pkg of 2 pairs. 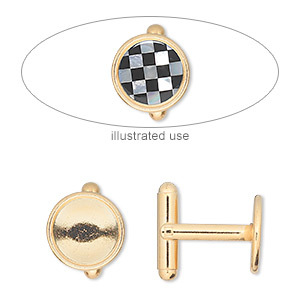 Cuff link, gold-finished brass, 12mm round bezel setting. Sold per pkg of 2 pairs. 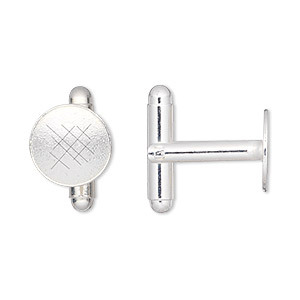 Cuff link, rhodium-plated brass, 19x17mm overall with 5x3mm oval pad. Sold per pkg of 3 pairs. 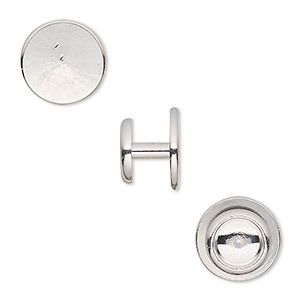 Cuff link, silver-plated brass, 12mm flat round pad. Sold per pkg of 2 pairs.